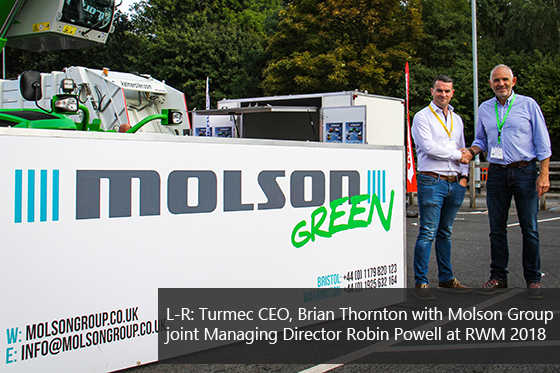 Yesterday (12th September) Molson Green, the UK’s largest distributor of capital equipment, become a dealer for Turmec, a leading waste management solutions provider based in Co. Meath, Ireland. 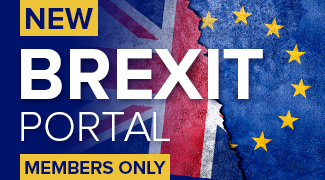 “When working in partnership with any company, we believe it is very important to maintain the high quality portfolio of products that represent the Molson brand. 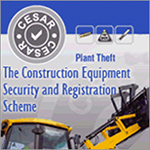 Turmec is a business that provides premium quality products that reflect and compliment our ethos. 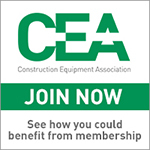 “As the Molson Green business continues to grow, this deal now enables us to make a more coherent full 360-degree product offering to customers, with equipment that can be trusted in the most demanding applications”. 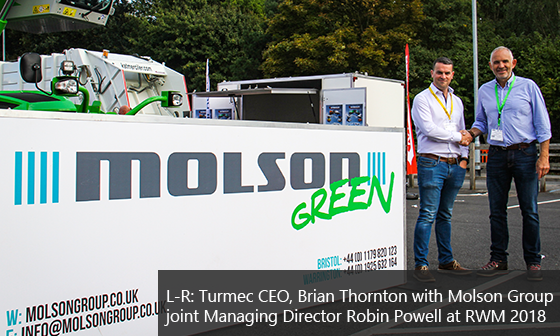 “Following this new agreement, Turmec will continue to deal with our existing customer base and the team of 39 salesmen within the Molson Group, will develop new leads from their customer base identify new opportunities throughout the UK”.